← Should I limit the number of starchy foods and high-sugar fruits I eat if I want to lose weight? How many calories should I eat per day if I weigh 173 pounds and want to lose weight? How many calories should I eat a day if I weigh 173 pounds and want to lose weight? On a daily basis, you’ll want to consume about 500 calories less than you are eating now, assuming you aren’t already restricting your caloric intake. This is because 500 calories equates to an average of about a pound of weight loss per week for active individuals. 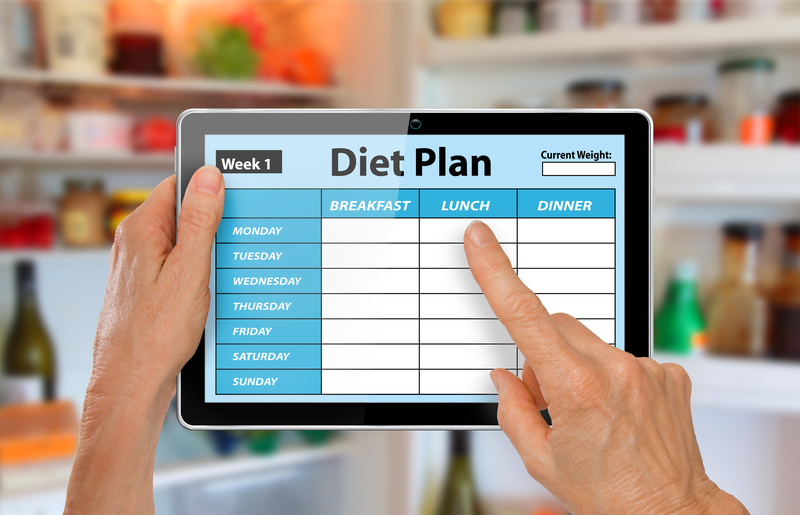 Find out how much you actually eat by tracking your intake for several days and analyzing it on a diet software program or reliable online nutrition site. If she was only 25 years of age, she would need to add roughly 100 calories onto that total. If she was age 40 or above, she would need to subtract about 100 calories from that total. Likewise, if she was a few inches taller (e.g., 5’10”) she would need approximately 100 more calories if every day, but if she was a few inches shorter (e.g., 5’2”) she’d need about 100 fewer calories. And if our reference woman did not work out at all, she would only need about 1200 calories per day. However, if she worked out for an hour each day, she would need about 1800 calories per day. So, based on the above estimates, a 45-year-old 5’2” woman would need about 1200 calories per day (at a minimum), regardless of exercise, whereas a 25-year-old 5’10” woman exercising five times a week would need approximately 2000 calories. Getting lost in all those numbers? It may be easier just to reduce your present intake by about 500 calories, or increase exercise to achieve the same deficit! Do you have a question about your diet or nutrition? Ask our dietitian by submitting your question to nutrition@lafitness.com or simply ask it in the COMMENTS section below. To learn how to follow the “Ask Our Dietitian” Q&A CLICK HERE! Debbie James is a registered dietitian. Any views or opinions presented in this article are solely those of the author and do not necessarily represent the opinions or recommendations of Fitness International, LLC. Posted on October 29, 2015, in Ask Our Dietitian, Health, Helpful, LA Fitness, LA Fitness Blog - Living Healthy, la fitness reviews, Nutrition, Weight Loss and tagged ask our dietitian, best weight loss tips, blog, blog la fitness, blood sugar, body fat loss, body shape and weight loss, body type and diet, body type and weight loss, calories, calories and weight loss, calories for woman, cholesteroland diet, convert fat to muscle, daily food diary, diet, diet advice, diet and work outs, diet and working out, diet for losing weight, diet program, diet q&A, diet questions, diet tips, dietitian advice, eat clean, eat clean and weight loss, eating clean, eating clean and health, eliminate sugar, food diary, food log, fruit and weight loss, fruit diet, goals, gym, Health, healthy late night foods, how to burn calories, how to get a six pack, how to lose body fat, how to work out, LA Fitness, LA Fitness articles, la fitness blog, la fitness dietitian, Lose Weight, lose weight fast, nutrition, nutrition advice, sodium, sweets, track calories, weight loss. Bookmark the permalink. Leave a comment. Enter your email address below to Follow the latest articles from Living Healthy. Should I limit the number of starchy foods and high-sugar fruits I eat if I want to lose weight? © 2015 Fitness International, LLC. All rights reserved.